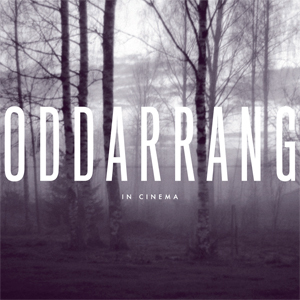 This third outing from Oddarrang – ‘In Cinema’ – sees them building significantly on their previous releases, ‘Music Illustrated’ and ‘Cathedral’. The Finnish five-piece’s precise sound is delightfully difficult to define – maybe ‘experimental jazz’, perhaps ‘new age’ or even ‘folk jazz’. And, intriguingly, the shifting timbres and hues are created by a refreshingly atypical instrumental line-up: the masterly and lyrical lead of trombonist Ilmari Pohjola and cellist Osmo Ikonen soloing over strong-yet-sensitive layers of guitars, bass, synths, piano and harmonium. Composer/producer Olavi Louhivuori (also known for his work with the Tomasz Stanko Quintet and Alexi Tuomarila Trio) presides on drums as well as keyboards, his authoritative percussion a key element of the band’s identity. The ‘new age’ tag comes from comparisons I can make with the early output of Mike Oldfield – the repeated guitar lines, percussion and plaintive melodies of third track Missing Tapes from a Highway Set, for example, reminiscent of ‘Hergest Ridge’ or its seminal predecessor ‘Tubular Bells’. But this is no imitation, for it lives and breathes by its own strengths – a hugely distinctive sound palette with a terrific sense of dynamics and intricacy; compositions often growing in intensity, such as Lasse Sakara’s guitar-led ticking timebomb of The Sage which eventually explodes in dazzling full colour. Newly-released single Self Portrait is a joy to hear up-close, opening with a beautifully legato cello/trombone melody against a delicate wash of synths, sustained guitar chords and cymbals, before upping the tempo and crescendoing to a vocal, guitar-crashing conclusion. The potency of this (to my knowledge) unique line-up is that acoustic and electronic instrumentation melds so pleasingly and effectively – frequently it’s tricky to discern the overall make-up of the sound… which, to my senses, is a great achievement! Trombone and cello lines are so ravishingly executed, yet the sum of parts is where this album succeeds. The misty, folksy beginning of the curiously-titled, eleven-minute Cultivate & Contemplate finds Pohjola and Ikonen in elegiac mood, whilst guitar and percussion again introduce and develop the band’s characteristic anticipatory momentum. Journey explores the full range of Oddarrang’s expertise, the pulsating intro giving way to a serene interlude before finally rocking it up to fever-pitch intensity, Louhivuori thunderously pushing the limits, electronics enhancing the play-out. Bassist Lasse Lindgren provides the writing for the slumberous final number, Quiet Steps – a charming bell-like melody which suggests, at the close of our journeying, a darkening firmament revealing constellations as far as the eye can see. *UPDATE: Oddarrang’s Manchester and London performances were moving and exhilarating in equal measure – highly recommended! Digital release: 30 September 2013; physical release: 7 October 2013.